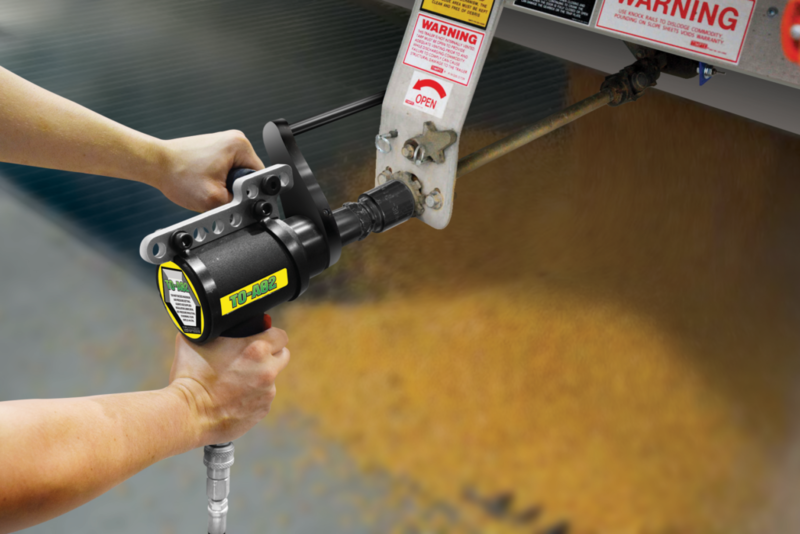 The WORKMASTER® TO-A02 Bulk Trailer Trap Opener is a hand-held pneumatic wrench with precise torque control that is optimized down to the finest detail for maximum productivity and longevity at any unloading site. The backbone of any wrench is its gears, and the gears that are the driving force behind the TO-A02 are designed with an extreme durability factor. The TO-A02 Opener has endured more from long term testing than it will ever experience at a trailer unloading site. Based on air pressure adjustment, the TO-A02 Opener produces 78-lbf to 530-lbf; when the air regulator is at 20-PSI, the Opener produces 145-lbf at 20-RPM; when set at 40-PSI, the Opener produces 250-lbf at 25-RPM. An airflow of 50 to 55 CFM guarantees optimum performance at 20 to 40-PSI. Trailer Trap Capstans fall into three general categories: (1) the standard 1-1/2″ socket style capstan; (2) the 1″ slotted-pin style capstan; (3) the 1” square bit style capstan found on CORNHUSKER style trailers. The TO-A02 comes complete with a Capstan Drive Fitting for each of these three trailer capstan styles. Removable multi-positon side handle comes standard with seven different mounting positons for increased operator comfort during use. After securely engaging the drive fitting in the trailer’s capstan, a simple press of the trigger on the pistol grip handle will cause the torque reaction arm to rotate until it is stabilized against the trap, and the drive fitting begins to open/close the hopper; then, within seconds the TO-A02 will stall at the preset torque. To reverse the direction of rotation, simply depress the trigger in the opposite direction to release the stored torque load off the reaction arm. 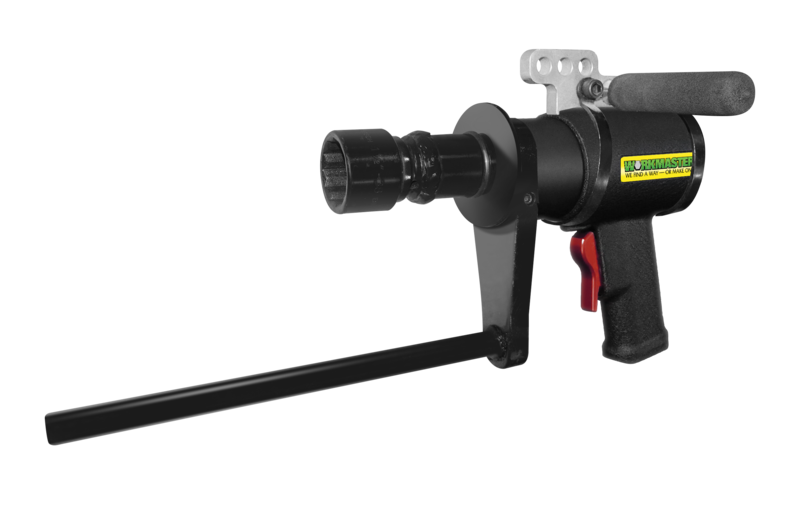 Every TO-A02 comes complete with: 10-ft of Air Hose, fitted with a 1/2” NPT x QC Coupler; A Compressed Air Filter, Regulator, Lubricator Assembly in a HD Carrier for ease of use and protection; Air Tool Oil(1-QT). Eliminates vibration which makes the Opener comfortable and safe to use.